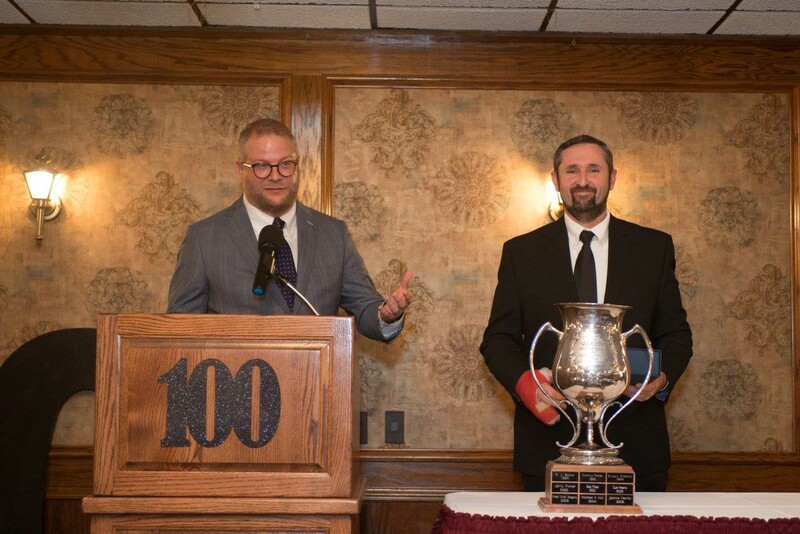 The Webb City Area Chamber of Commerce held the 100thAnnual Chamber of Commerce Banquet on Thursday, October 12th at Butcher Block Event Center. 2017 Annual Banquet. Several of our awards were surprises and announced that evening including the Business Leader of the Year Award presented to Brian Massey and Josh DeTar, Edward Jones Financial Advisors. These gentlemen show great support of the chamber by volunteering their time by attending events, ribbon cuttings and helping create one of our most successful events the Run the 66 Route 5K. Chamber Man of the Year was presented to Blake Bard for his forward thinking and helping create the Career CREDITS Program. City of Webb City Employee of the Year was presented to Jackie Clark, Webb City Fire Department for his work on Badges & Burgers and volunteering throughout the community. Cardinal Teachers awards were presented to Stephanie Moore, Webster; Kerri Roy, Eugene Field; Krista Gosch, Middle School; Phyllis Dolence, Junior High; Butch Owens, High School. wife Toni accepted on his behalf. Butch was instrumental is starting the Webb City Athletic Booster Club and served on the Chamber of Commerce Board of Directors for nine years. The banquet also included the induction of an honoree into the Webb City R-VII School District Hall of Fame. The school district Hall of Fame honors former students of the high schools that now make up the Webb City R-VII school district. The 2017 Inductee was James Steele, Class of 1962. Another award that was the Downtown Historic Preservation Award. The 2017 recipient was the Route 66 Movie Theater for their restoration of the historic theater. A new award for 2017 was our outstanding new member of the year was presented to Joplin Supply Company. As a new member they were very involved not only be sponsoring events but also helping by volunteering. The Webb City Area Chamber of Commerce will also be recognized seven members that have been chamber members for 100 years. Those members are Empire District Electric Company, Missouri Gas Energy, Hedge Lewis Goodwin Funeral Home, Webb City Sentinel, US Bank, Mid-Missouri Bank and AT & T.